If you’re like most busy moms, you’ve likely read a book or two about time management. However, chances are that those books laid out one plan for time management without considering your individual personality. 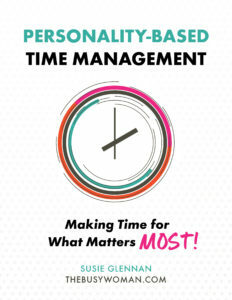 In the ebook, Personality-Based Time Management: Making Time for What Matters Most , by Susie Glennan of TheBusyWoman.com, you’re first asked to consider your personality type, and then take steps for better time management. Glennan describes each of these women, but if you still can’t identify yourself after reading that section, she has a quiz you can take. She also says it’s not unusual for a woman to have two of the personality types, perhaps one at work and one at home. When I was reading her descriptions, I thought I was a mix between Type A Casual and Type B Motivated, and when I took the quiz, I scored equally for those two types. After you identify your personality type, Glennan gets down to the nitty gritty of helping you become a better time manager. What I liked most about this section is the examples Glennan gives to illustrate her points. They really help illustrate what successful time management looks like. 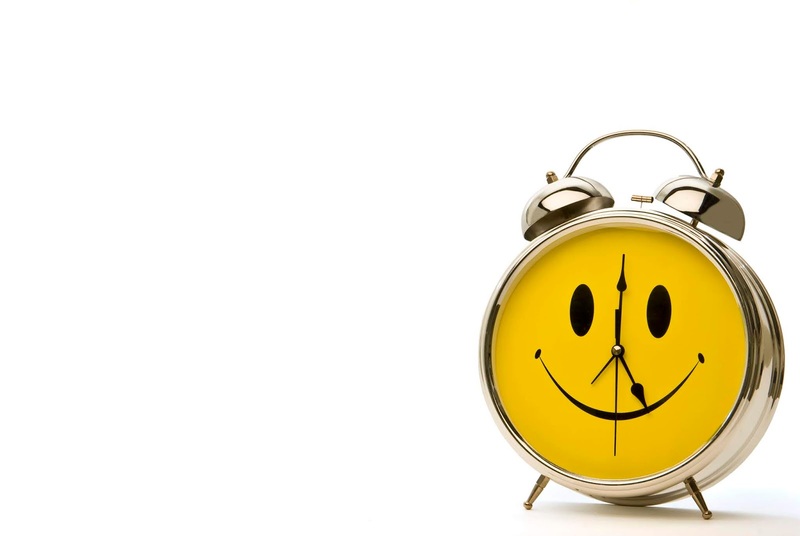 She also emphasizes that appropriate time management can mean that you have more time for your family and friends. In fact, she suggests scheduling in time to spend with your family and friends like a regular appointment so that you make time for them instead of thinking that you should and then never doing it. The only drawback to this ebook is that the last few pages simply read like advertising copy for the planner Glennan sells, The Busy Woman’s Daily Planner©. However, if you do plan to buy the planner, the last few pages of the ebook have sample planner pages that have been filled out so you can see what the time management system looks like in action. At only $5.99, this ebook is reasonably priced and will likely give you better insight into your personality as well as tips to manage your time better.